Overall Propertysubmitted by Dustyn R. - Aug 30, 2018 |Recommended: YesI really enjoy living at the Falls Apartments. The facilities are all maintained excellently, the staff are extremely friendly and the maintenance staff are prompt to satisfy the resident to the best of their ability.  I would recommend The Falls Apartments to anyone looking for a great place to live. Residence Reviewsubmitted by Ryan B. - Aug 07, 2018 |Recommended: YesIt's a great place to live but a little pricey. Overall construction of the apt is above par but there are still some things that could be improved. response from property - Aug 30, 2018 Hi Ryan! Thanks for your awesome review. We would love to improve out property for our residents, so if you have any suggestions we would happily take them! Let us know what we can do to make you the most comfortable in your apartment. Good spot to live.submitted by Sarah K. - Jul 29, 2018 |Recommended: YesThe Falls Apartments is a great spot to live. The staff are helpful and effective, the community is well-kept, clean, and quiet, the setting is nice, and the location is great. Good but not greatsubmitted by Raymon H. - Jul 22, 2018 |Recommended: YesThe location of this place is amazing. The walls are thin so you can hear your neighbors. The countertops are very nice and everything else is new of good quality except for the bathrooms. I wish they went with tile walls and porcelain tubs for their bathrooms because the plastic tubs are cheaper and harder to clean. Very pleasantsubmitted by Phillip F. - Jun 29, 2018 |Recommended: YesThe place is almost brand new apartments are spacious and well laid out staff has been very helpful. response from property - Jul 06, 2018 Thank You Phillip! We are elated you are enjoying your stay here. Good place to livesubmitted by Jessie L. - Jun 22, 2018 |Recommended: YesIt is a great place to live and a great location. It is a little pricey but it is not terrible for how new the apartments are. The staff is friendly and maintenance does a good job. Nice apartments, Kind of pricey for the areasubmitted by Cameron S. - May 29, 2018 |Recommended: YesNice apartments, Kind of pricey for the area would probably get more for your money renting a house. response from property - Apr 30, 2018 Thanks, Sharie! We appreciated having you as a resident and wish you the best of luck with your future endeavors! Excellent place to livesubmitted by Terry H. - Apr 16, 2018 |Recommended: YesAfter selling my home a year ago, I moved into the Falls apartments. During the past year the service provided by the office and maintenance staff has been outstanding. It is a quiet place to live in a great location, the apartments are nice and the tenants are friendly. response from property - Apr 17, 2018 Thank You Terry! We are happy to have you! Great so farsubmitted by Abdalla A. - Feb 25, 2018 |Recommended: YesApartments look great and are very modern. Amenities are great as well. One minor issue may be the layout of some apartments are slightly odd e.g. closet without a door facing the toilet . Great Placesubmitted by Kumarasegaran S. - Feb 02, 2018 |Recommended: YesIt's a nice apartment in a great area. I have loved my time here and will always recommend it to others. Great location, nice amenities, modern stylesubmitted by Phillip G. - Jan 29, 2018 |Recommended: YesThere's plenty of parking and the neighbors are friendly. The community amenities are great. I've liked my time living at The Falls. The staff are excellent too. response from property - Jan 31, 2018 Thanks for your review Phillip! We are happy to have you as our neighbor!